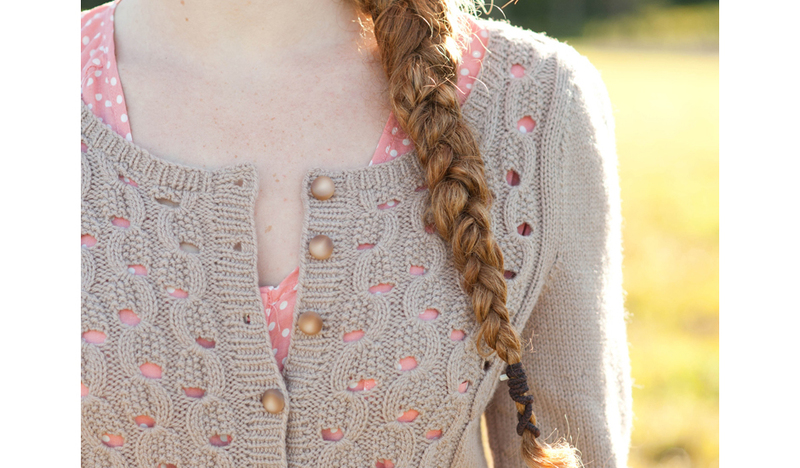 For this classic cardigan, I designed a unique stitch pattern that combines both lace and cable techniques. I placed the pattern in a V-shape in the center front, the better to draw attention to it. The cuffs and neckband are worked in a wide rib, the button band in a delicate rib.